One of our new eye catchers is the converted Norco Indie with a mid-drive conversion kit. Before conversion, this was already a great bike with 8-speed gears, disc brakes and a stiff frame. 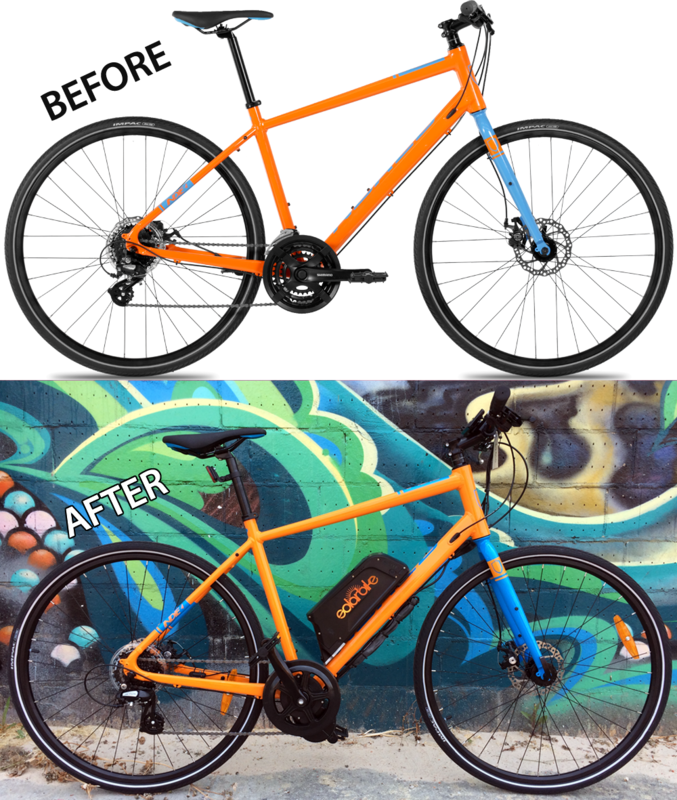 We converted the Norco Indie to an electric pedal assisted bike featuring a 750 Watt Bafang mid-drive motor which together with a 48V 11.6Ah battery will take you quickly to your destination. The mid drive motor assists you pedalling along the streets while you enjoy your morning-midday or afternoon rides. All in all, a great bike that will draw some looks with you riding it.